In the wide world of cannabis, terpenes act as olfactory indicators that give us a hint as to the kind of properties a strain of cannabis may possess. If you are familiar with the scent of your favorite strains, you try doing a sniff test of others and likely pick out one that will suit your needs. Terpenes are behind the aroma in your favorite products, but there is also evidence that they interact with the cannabidiols (CBD) and tetrahydrocannabinol (THC) to enhance or dampen their effects on the user. Terpenes are a broad class of organic hydrocarbon compounds that are highly aromatic. The thousands of known terpenes are classified based on the number of repeating isoprene molecules that comprise their structure. They’re generally produced by plants and some insects to ward away animals that may otherwise be inclined to eat them, and to attract animals that are beneficial (pollinators, predators of their predators, etc). They provide the scents that we as humans associate with different “flavors” of food, plants, and other organic materials, telling us to get closer or to stay away. They are primary constituents of essential oils and have been implicated in many health benefits. A plant’s genetics determine what terpenes it will produce The terpenes in plants oxidize to form terpenoids as the plant dries out—terpenoids are really the form of compound used in preserved products from perfumes and potpourris to the flowers at your local cannabis shop. Where Do Terpenes Come From? 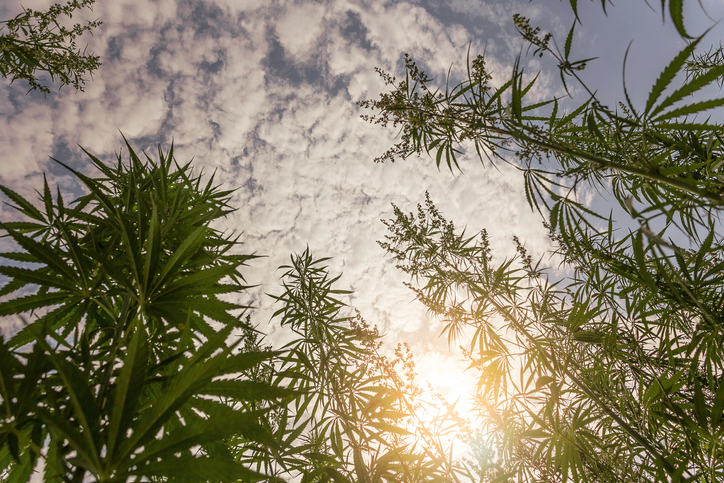 You may have noticed tiny crystal-like hairs growing from the surface of cannabis leaves. These fibers, or trichomes, are a feature of mature plants that sprout from the outermost skin layer and producing and secreting various forms of metabolites including flavonoids and cannabinoids and most of all, terpenes. Cannabis is known to produce over 100 types of terpenes, though just a few stand out in the market and dominate your products in various combinations and potencies. The main terpenes targeted by growers are myrcene, pinene, limonene, caryophyllene, linalool, terpinolene, camphene, terpineol, phellandrene, carene, humulene, pulegone, sabinene, and geraniol. A few of these may sound familiar, and some of them hint at their associated scent: limonene is a citrusy scent, pinene is appropriately piney, and linalool is responsible for lavender’s famous scent. In cannabis flowers, terpenoids exist alongside the famous (or infamous) THC, but have only recently become a serious focus for growers and users alike. Because terpenoids are known components of common food and drink, they are considered totally safe and have even been designated as “Generally Recognized as Safe” by the FDA. Many users of cannabis have likely felt the effects of terpenes without knowing it. 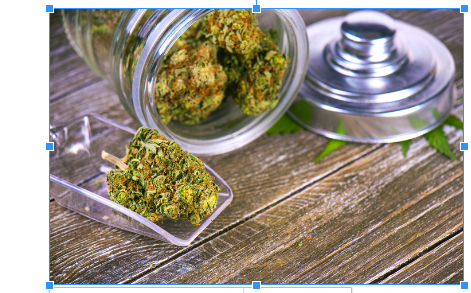 Though non-psychoactive, terpenoids may play a role in the theorized “entourage effect,” working alongside THC and/or CBD to moderate their effects. The idea is that THC alone produces a sort of “sterile” high, but combined with CBD and terpenes, it can give you the a complex and specific type of high that a strain is known for, from a smooth relaxation to a peppy energetic high. Terpenoids may even enhance your high by making it easier for THC to reach your brain. Scientists have viewed this entourage effect rather suspiciously as a marketing tactic, but they grant that by blocking cannabinoid receptors in the brain, CBD mitigates negative side effects of THC use such as anxiety, paranoia, and hunger. Though scientific data on the entourage effect is scant, research into this possible “herbal synergy” will become increasingly productive with the increased legality of cannabis production and use. Each terpene or terpenoid is associated with specific effects on the human body and psyche. Myrcene, the most common terpene in cannabis, has strong anti-inflammatory and sedative effects and is associated with the sleepy feeling of indica strains. Pinene, one of the most common terpenes in the entire plant kingdom, has been shown to counteract the short term memory loss resulting from THC use, and can even promote alertness. Limonene counteracts stress and can also serve as an anti-bacterial and anti-fungal agent. Linalool and caryophyllene both have antidepressant and anti-anxiety effects. Humulene, unlike many compounds in cannabis, suppresses the appetite. There are more than 100 other terpenes produced by cannabis plants, and their potential remains largely untapped and unidentified. Whether combined with other cannabis chemicals or isolated, terpenes have a bright future in both medicinal and recreational use.